Many of our attractions offer group and school programs. Listed below are a few of the programs available. If you don’t see one that exactly fits, give us a call at 800-473-9370 and we can discuss with you what is available, or what could be customized for your group! “One of the Top 10 most Scenic Skywalks in the World.” The Kinzua Sky Walk and the Kinzua Bridge Visitors Center are open year-round for group and motorcoach tours. The Kinzua Bridge Visitors Center is a two-story, elevator access, 11,000 sq. foot building with a variety of interactive displays. One display is a replica train car where visitors can watch films of the original train crossing the Kinzua Gorge. Admission is free to the Kinzua Sky Walk, the Kinzua Bridge Visitors Center, and the Kinzua Bridge State Park. Click here to request a tour time, and or one of the programs listed below. Programs are offered at no charge. A wide range of educational programming is offered at the Kinzua Bridge State Park. Your choice of programs include: Guided History of the Bridge (a motorcoach favorite), Viaduct Ventures, Scavenger Hunt through the Exhibits, GPS-Geocaching Program, Guided Nature Walk on the General Kane Trail, Animal Tracks & Traces, PA Elk, Wild Wind, Wildflowers Walk. Click here to view the Educational Resource Guide, which meets both PA & NY Standards. 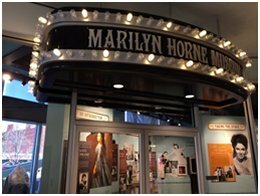 Enjoy a memorable musical experience at the Marilyn Horne Museum located at 2 Marilyn Horne Way in Bradford, Pennsylvania. The visual and interactive musical exhibits highlight the different phases of Marilyn Horne’s life. Born in Bradford, Pennsylvania, Marilyn Horne began as a small town girl who became an International Opera Star. Visitors may request a customized tour. Options include a “High Tea ” served in the building’s ballroom. The center features an entertainment center, a museum and exhibit center, an assembly room, and a coffee/gift shop. Groups and motorcoach are welcome with advance notice. Bring your group and “Bake with Joe”. Your group will have a hands-on opportunity to bake with experienced bakery chief Joe Frombach, and then sample what they made! Your tour includes instruction and baking in the test kitchen, and lunch or dinner at the bakery shop. Seasonal bakery classes include making and decorating holiday cookies or a Yule Log. On-site gift shop, restaurant and bakery. 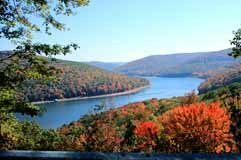 The Longhouse National Scenic Byway offers one of the most beautiful views in the Allegheny National Forest. A Resource Guide helps prepare your 5-8th grade students and those in secondary grades for an exciting, meaningful, and fun visit along the Byway. There is a map of the area, an “Etiquette Guide” to keep you and your students safe, and a description of available historical resources. Each point of interest is structured with Before Your Visit, During Your Visit, and After Your Visit activities and reading selections supported by PA Core and New York state standards. There is also a role-play activity where students can select someone they want to be during their visit. They could even dress-up as the person. Each section includes a glossary. You will also find interesting bits of information scattered throughout the guide. Offering a wide variety of pre-formed instructional classes – along with the ability to customize a program for your group! Let us assist you in planning an educational outing for your group. Current programs include: Beginning fly-fishing, advanced fly-fishing, and photo treks of the Allegheny National Forest. Free guided tour of the Zippo/Case Museum. Interactive exhibits, video, repair shop, and gift store and the famous “Zippo Car.” Learn the story of two American brands invented and manufactured in America! Sprague’s Maple Farms is pleased to offer your class a tour of the maple syrup production facilities here in Portville, NY. We have two production tours for you to choose from. Our tours are generally geared for approximately 20 students. Tour involves a considerable amount of time outdoors. Both tours give an age appropriate, detailed discussion of the process of making syrup and students will come away with a better understanding of how syrup gets from the tree to the table. In addition to being able to choose the type of tour you would like your students to have, you also have two breakfast selections. At the end of your visit here each student will be given a gift certificate for a free Patty-Cake breakfast, redeemable at a future visit. However, Sprague’s reserves the right to alter the tour due to weather conditions at the Sugarbush. Please contact us for further details to schedule your tour. Complete Information. Seneca history is rich, deep and colorful and the Seneca-Iroquois National Museum shares it in a way you’ll never forget. The Center features a 400 seat amphitheater, art markets, art shows, specialized tours, and workshops. The Cultural Center is alive with art, folktales, struggles, and triumphs that continue to define Seneca life. It’s a history lesson and an experience that the whole family will love.